Having survived the Hunger Games, Katniss Everdeen is back home in Sector 12, not looking forward to her role as a mentor for the next year's games. She is surprised to hear rumours that her defiance of the Capitol and President Snow during the Games has sparked unrest and even discord in other sectors. When she and her co-winner, Peeta, conduct a tour of the districts, Katniss realises that her name and her emblem, the mockingjay, are being taken up as a symbol of rebellion and hope. 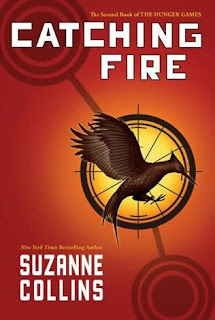 Catching Fire is the second volume of The Hunger Games Trilogy, Suzanne Collins' highly successful, post-apocalypse, dystopian YA SF series. 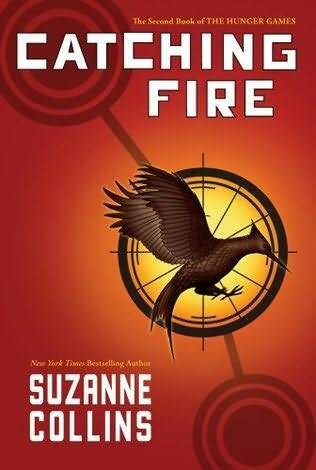 Collins never intended to write a trilogy, so Catching Fire has some work to do to set up a bigger storyline that will be resolved in the following novel, namely the move from merely being a story set in a dystopia to a more epic story about the overthrow of the oppressive government. For these reasons Catching Fire has some issues. 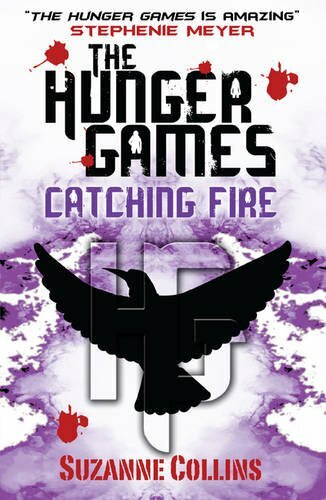 We're more than halfway through the novel before the second Hunger Games kick off, and we're not able to spend much time with those games before the conclusion arrives. This is a shame as Collins addresses some of the weaknesses of the first set of games, with many more contestants being identified and much better-characterised than first time around. The arena is also far more ingenious, with many more deadly traps. The games section of the novel and the conclusion are both rushed in an attempt to cover as much ground as possible before the final novel, which hurts the quality of this book. That said, it's still a fast-paced, readable and enjoyable book. We see more of Panem and get more of a sense what life is like for people living there, which is essential to better-establish the wider backdrop of the series. On the characterisation front, Katniss isn't always a sympathetic protagonist and often makes mistakes, which makes her more relatable and real. Other characters, like Peeta and newcomers like Finnick, are also given some solid scenes and character-building moments. The mutual hatred and anger between Katniss and President Snow is also well-handled. However, the Capitol and its rulers are rather dense in this book. Everything they do seems designed to inflame the situation and further the rebellion, which is weird for people who've been in charge for a century and have used the Hunger Games as a form of propaganda and control for seventy-five years, which requires some savvy knowledge of media and PR. Instead, the plot feels set-up ahead of time and both the reader and the characters are along for the ride. 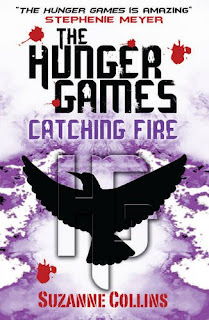 Catching Fire (***½) is a drop down in quality from The Hunger Games, but still an enjoyable and entertaining novel. It is available now in the UK and USA.